As if anyone needed reminding, our beloved Sonic the Hedgehog franchise is 20 years old today, and with nary a grey hair in sight. Sadly, I have to keep this commemorative post uncharacteristically short and sweet. I had planned a big article, which I have started and may complete soon, but a mix of writers block and just sheer lack of time have stood in the way unfortunately. But still, I wouldn't have felt right letting this momentous occasion pass by with no reference at all. 20 years is a long time for any gaming series to have remained this active, releasing title after title pretty much every year therein. To this, SEGA can attribute something inherently loveable about Sonic's impeccably designed character, his vast, imaginative and varied worlds, and the beautiful physics and level designs that combine so perfectly to create an inimitable experience across all of interactive entertainment. There is nothing in the world like a great Sonic game, and the quest to gather as many as possible is what keeps loyal fans mesmerised where they would otherwise have lost interest. You don't even need a 20th anniversary celebration to know that Sonic the Hedgehog has cemented his place in the history of the medium as one of the most popular characters and franchises ever, to be remembered long after he's gone, if one can even imagine such an event. Playing a great Sonic level, whether it's running and jumping madly through Green Hill Zone, desperately trying to keep momentum, or dodging obstacles left and right while blazing through Rooftop Run, carries with it an amazingly fulfilling feeling with it. You become engrossed in a world of flowing colour that becomes more and more vivid the more you play it, and the better you know it. Those memorable tunes from your childhood are woven into the fabric of your brain, becoming part of the rhythm of your life. The thrill and wonder you experience when treading new territory in a hidden route you never knew about before, or even more so when seeing a brand new environment for the first time, encountering its traps and hearing its characteristic melodies. The amazing anticipation when you lay your eyes on that new trailer for an upcoming game, and then can't help but watch it again and again. These are among the many things that make being a Sonic fan worth every hardship. I love Sonic, and I think it's a pretty safe bet that you do too. Today is a day where we should all count ourselves grateful that we have such a great character, story and history to remember and hold dear, and there is so much to love about it. So make sure you do something special today as your own small tribute. SEGA have excitingly given us the perfect celebration: a demo of Sonic Generations which goes live today! Play it. Play Sonic 1. Play your favourite games of the series. Dig out your Sonic comic collection. Play your favourite Sonic soundtrack. Watch an episode or two of your favourite Sonic cartoon. Put your Sonic underpants on. Run like Sonic down the street. Do whatever you need to do to remind you of what SEGA's blue saviour means to you. Happy Birthday Sonic. You will always be the best. Comments 8 Comments have been posted. P.s LiQuidShade, you were pretty good at predicting the sonic generations levels, city escape, AND roof top run have been confirmed by SEGA as levels of Sonic generations, let's see if you get any more levels correct. Amazing. That was just amazing. 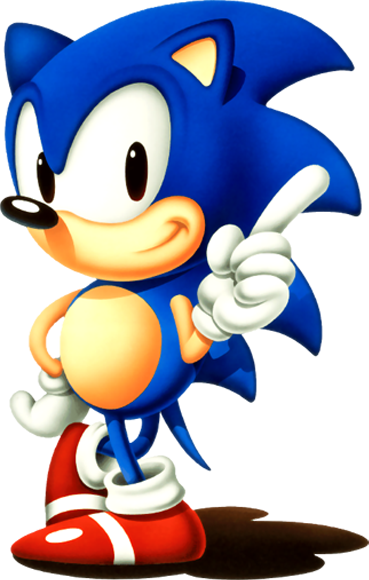 I have been by Sonic's side since June 23 1991 and even though he has had a bumby ride in the 3d games, he will always be my favorite videogame mascot. Let us hope for another amazing 20 years of sonic. Happy Birthday, Sonic ! Could one be available via an emulator?